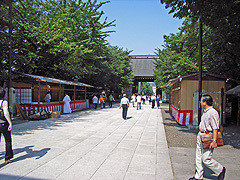 A COOL GUIDE OF YASUKUNI SHRINE. 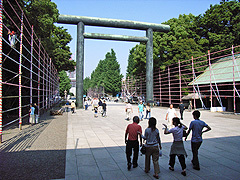 The sightseeing guide of YASUKUNI which is the ultra famous shrine in Japan. 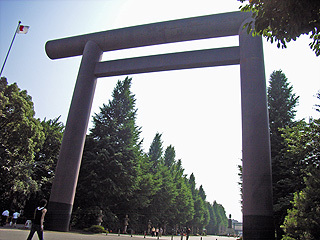 Since God of YASUKUNI is large, its gate is also large. Large, hard and thick. Great. 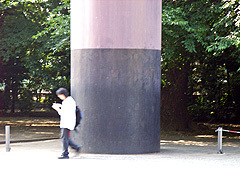 An entrance is located on this back side. 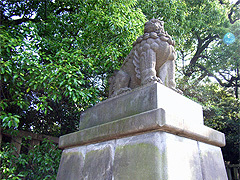 There are steps to the viewing room. It will get tired if it reaches upwards. Akihabara from the viewing room of the gate. 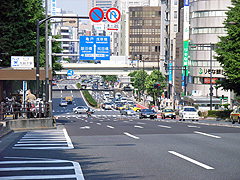 OO-DORII is a very high place. 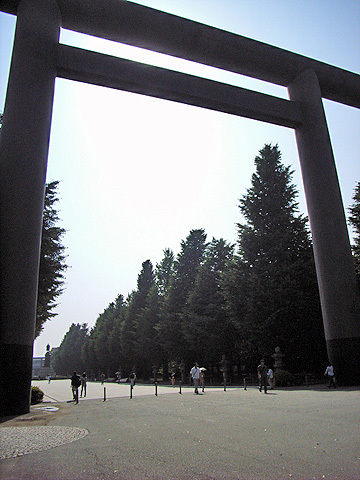 Whole Japan can be seen. 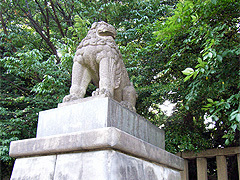 Guardian dogs are protecting the shrine. If they become night, they will move. The way of God for going to back room. God walks along the center of a way. Let's be careful not to be crushed. 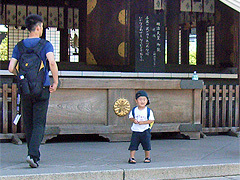 MIKO-SAN, the moe-style shrinemaiden, although she was always in the kiosk, it was absence today. Probably she will be a business trip in Akihabara. 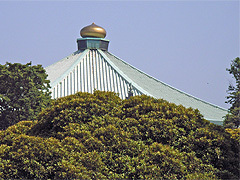 The collection box for God. You put in money here. You have to pray violently. 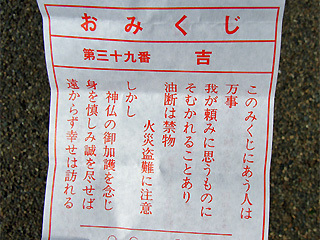 There is a rumor that three holy items support the universe. 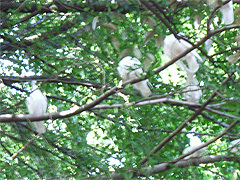 Hundreds of white pigeons exist here. The manager has painted them by the white spray. 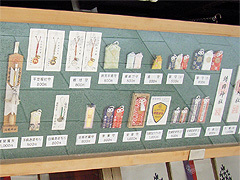 If you goes to YASUKUNI, Let's buy a sacred oracle. Mine was written like this. "No39. Lucky. The person who encountered this oracle is ignored by all great men. You must not stop oil. Be careful of a fire and a thief. But, if the guard of God is believed and controlled and it does the best, happiness will be got in the near future." I am going to become happy. 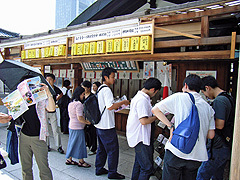 Visitors goes to Akihabara from here. And they buy comics and DVDs and figure dolls. I am worried whether your travel is successful. You should refer to other guides.